One of the biggest kitchen and bathroom trends at the moment are modern European cabinets. The smooth, sleek design is highly sought-after. 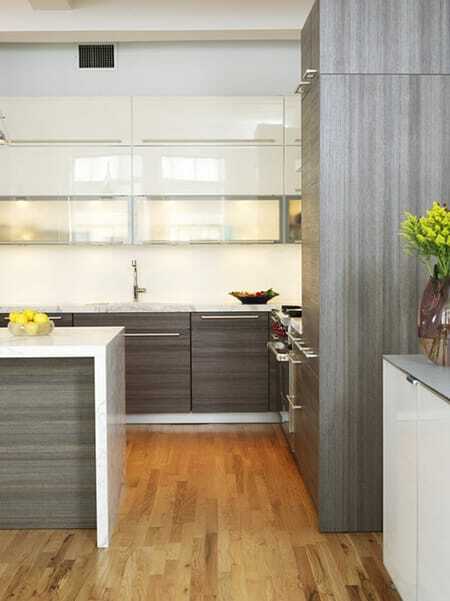 These cabinets have a completely smooth facade, clean lines, and a minimalist appeal. Within this style, there are a lot of options to choose from. 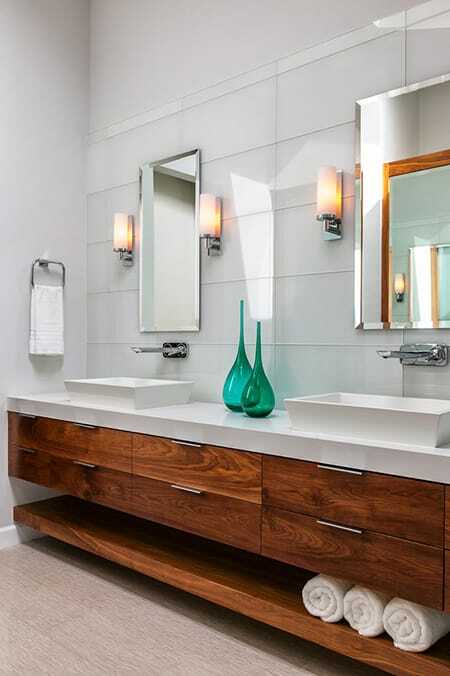 You can go with a beautiful wood grain, for example, in anything from a rich cherry wood to a cool grey tone. 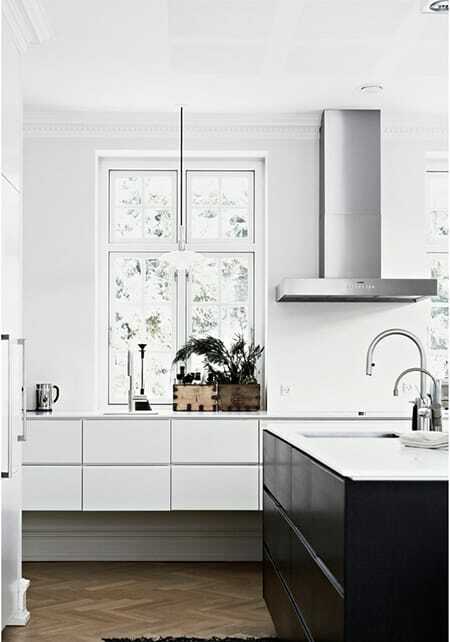 You could also opt for a high gloss finish in white for a glamorous appeal or something more subdued like a matte grey. What you pair the cabinets with makes a difference, too. You can contrast them with a variety of styles, even farmhouse. Here are 10 inspiring examples of modern cabinet designs. 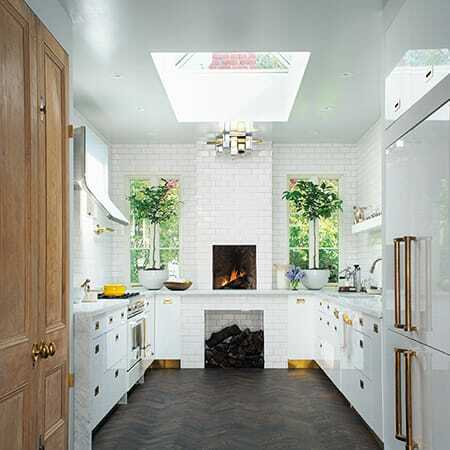 The streamlined white cabinets flow with the walls and draw your eye to the stunning view through the windows. 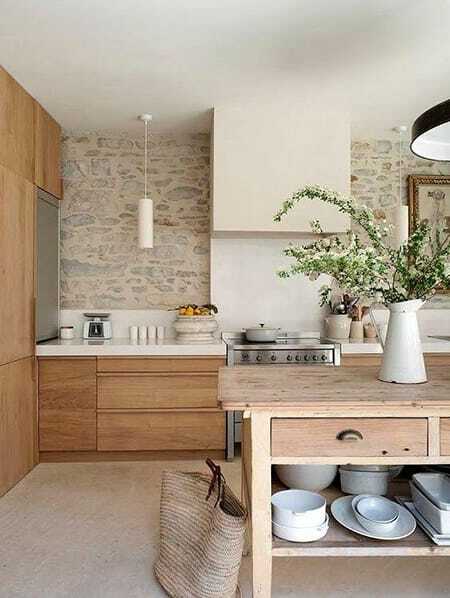 The smooth, modern face of the cabinets creates an interesting contrast with the rough stone wall. 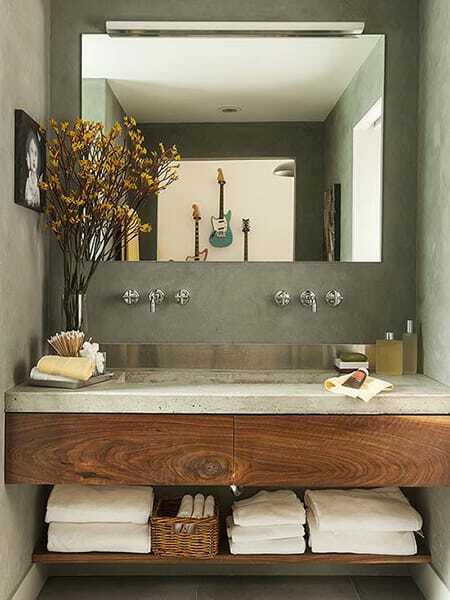 Rich wood cabinets provide some warmth to this bathroom while keeping with the clean, streamlined look. There are a lot of rustic textures at work in this space but the smooth modern cabinets make it luxurious. 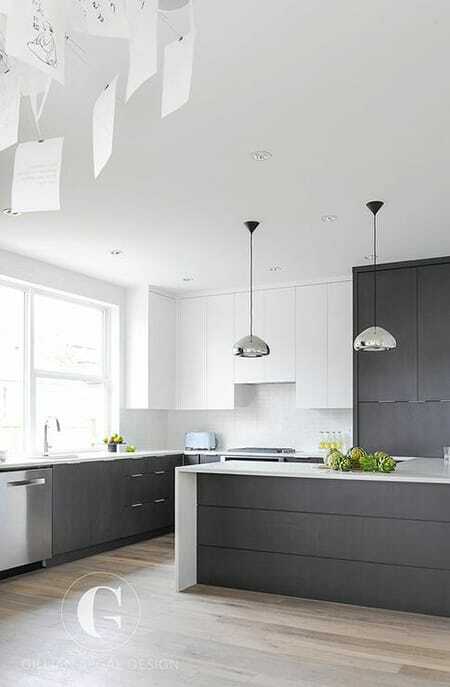 This kitchen proves that grey can be paired with a warm wood tone. The two-tone cabinets are mixed in a way that looks like color blocking for an intriguing twist. This bathroom is a beautiful example of modern glamour. And check out that view! The cabinets almost blend right into the walls for a truly minimalist look. The white high gloss modern cabinets make this kitchen feel larger. 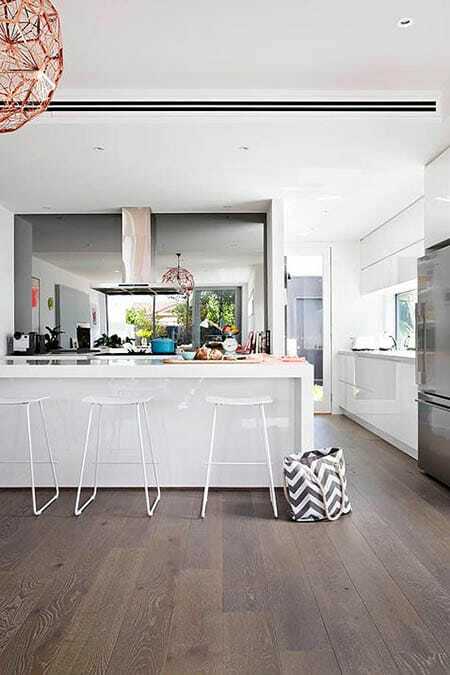 The white bar stools blend in with the island to keep with the streamlined appeal. What do you think of this popular cabinet style?